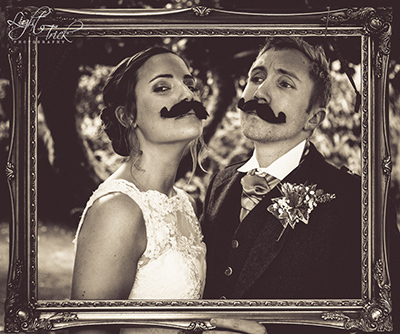 "Kati - I've just received the most beautiful engraved USB stick in the post with our wedding photos on it! I wasn't expecting that, how gorgeous! Thank you so much for your kind words and your WONDERFUL photographs. We were absolutely thrilled with all the pictures you took, both at our engagement shoot and on our wedding day, and were so happy to have you there to share the day with us. I honestly can't praise you or thank you enough for everything you have given us. You are such a talented photographer and managed to capture all the emotion and joy of the day so perfectly. We, and our families, have loved reliving the memories over the past few days. It has been a wonderful added bonus to get to know you over the past few months and to be able to count you as a friend. Thank you for everything, it really means the world to both of us." 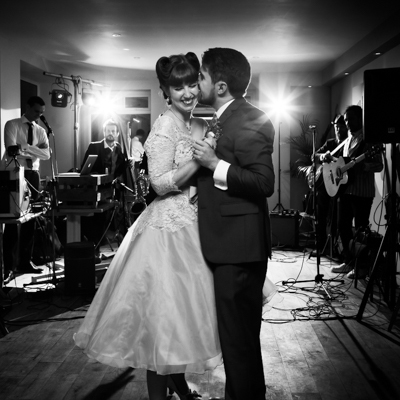 “Beautiful wedding photos that evoke the memories of our special day. Thank you Katariina for photographing our wedding exactly the way we wanted – highly professional quality but with warmth and personality. You really put us at ease and gave us great confidence in your abilities prior to the wedding by arranging an engagement shoot with us which turned out to be good fun and got us used to having our photo taken professionally. During the wedding you were very discreet and got all the important shots without us really noticing which resulted in really natural looking photos that we can treasure as a reminder of the day. When we needed slightly more formal / posed shots you were excellent at organising people into place and giving just enough direction to make a lovely picture. "We are so thrilled with the photographs that Katariina took of our wedding, she has captured the essence and true happiness of the day. She was so unobtrusive yet still managed to get every shot of all the important points; we could not have asked for more. Katariina truly has an eye for catching a moment and has given us photos we will treasure forever- thank you!" Thank you so much for the wonderful photos - to capture both Marita & I so well is no mean feat. Neither of us can ever remember having such excellent photos before. They brought tears to our eyes. You were a joy to work with and I will be sure to recommend you to others in the future." "Fabulous photographs - they are delightful. Thank you so much for giving us such lasting pleasure with your excellent work." "Like many other people, I am very critical of pictures taken of me. I feel I don’t have just one bad side, but I have bad sides from most angles! Katariina discussed ideas about how we wanted things to flow on our wedding day and she made me feel so relaxed and at ease on the day. We also loved her unique ideas for some of the shots after the ceremony, which were so different to wedding photographs that we had seen before. The pictures she took were so lovely I posted lots of them online! I was so proud of them – she managed to totally capture the whole day from start to finish with such finesse. One key thing I want to point out too is that Katariina also managed to capture truly beautiful natural shots of expressions in our faces that lasted a millisecond that completely showed the exact emotions we felt at the time, something most other photographers seem to just miss. It is so difficult trying to choose which photographs to put into a Wedding Book we are making up, let alone the one we are having made into a large Canvas print on our lounge wall!" 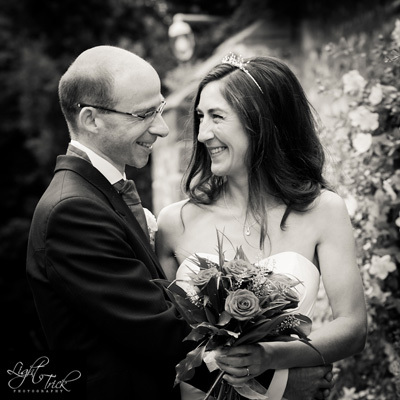 “I could not have asked for a more friendly, professional and relaxed photographer for our wedding on the 16th of July 2011. Katariina took some great relaxed shots prior to the ceremony, capturing some very special moments with my family and bridesmaids. Throughout the ceremony I was almost unaware that she was even there but she took fantastic shots of our vows, a reading by my brother and our guests overall. We had many compliments from friends and family in regards to how upbeat, sociable and professional Katariina was throughout the day and also in gathering everyone together for posed and group pictures. It really did feel like Katariina was a guest as well as our photographer, blending in and taking some wonderful pictures which my husband and I will cherish for a life time. We have been so pleased with the results, even looking at many pictures which were taken whilst we were unaware but which capture fantastic moments – particularly during the speeches and the early part of our evening celebrations. “Katariina was able to capture some of the most moving & memorable moments of our day because we felt so comfortable with her. She took the time to research our locations, finding all the best shots, making the photos natural and relaxed. "I could not of been happier with my choice of photographer. Katariina was perfect. Not only friendly and with lovely warm energy to have around - she took the most beautiful photos of our wedding that I could of hoped for. I cannot thank her enough. She captured the love, spirit and atmosphere in stunning natural images - that felt like evocative film stills. Everyone that has seen them has been blown away with many compliments on the photographer. She has a magic eye..... And I am beyond gratitude. I am so proud and moved by the images she created." "I heard about Kati through seeing some photos she had taken of my brother-in-law and his fiancee. I love photography and when I saw the shots she had taken of them I was desperate that Kati should take ours! The photos we have received from her surpassed our greatest expectations. She got some wonderful natural shots that we shall treasure for the rest of our lives. She had a magical way of capturing the atmosphere of our wedding as well as the key moments of the day and was so discreet when taking shots. Many of our guests have commented how sensitively she moved around the venue and how unobtrusive she was when taking photographs. Thanks so much Kati , we had a wonderful day and because of you we have some extremely high quality, beautiful photographs to take with us."